Sometime last year, I started a habit that I never planned on being a habit. 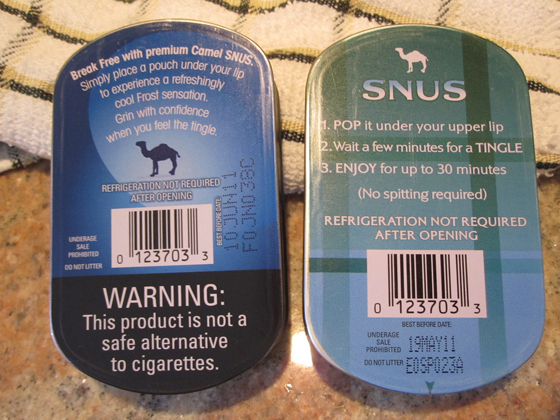 Back in 2009, our local indie rag – SLC City Weekly – included some free coupons for this product called Snus. It’s a smokeless tobacco that requires no spitting or chewing. I’ve always found chewing tobacco to be disgusting ever since metal shop in high school when I did smoke, but a couple of my friends chewed. They used to make spittoons from scrap metal so they could spit during class. I’ve been smoke free from cigarettes since May 2003, but I was curious each week these free coupons would fall out of the paper. So I eventually decided to try them. At first, it was a rush. You place the little pouch in your upper lip between your cheek and gum. There is no drip, no spitting. It’s just a small bit of tobacco flavor that gets mixed in with your saliva, but that’s it. 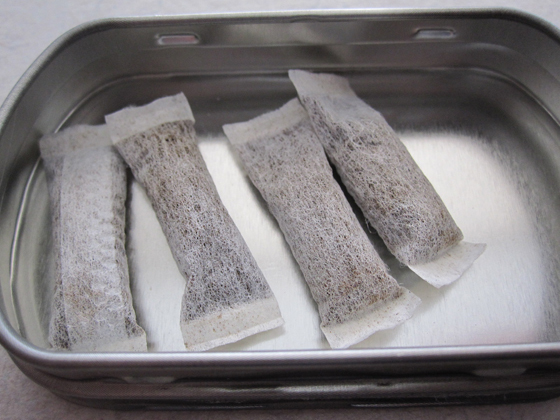 As you can see above, the pouches are self contained and no tobacco comes out. All very fine bits of tobacco. So what’s the deal? Well, it seems that I’ve enjoyed using these throughout the day. I do about 3 a day, leave them in for about 40 mins at a time, sometimes less, sometimes longer. I’ve found that instead of being just a casual thing, it’s become more of a habit. Maybe to calm my neves some. Or to have something to do while I’m working or drinking at the bar. I didn’t plan on that happening, but then again, it is a form of tobacco. Come January 2nd, I want to be done with these. Why not January 1st? Well, there’s New Year’s Eve and it’s one last bang. Plus, if they can’t be something I can do every so often without feeling like I need them, then for me, it’s time to call it quits. And let’s just call this a precursor to my TINTFA 2011 list. A head start to change, if you will. Way way back in the day I used to smoke socially down the pub. In 17 years since then I’ve had one relapse back in 2006 when drinking. Very nice. I don’t know if I’ve had a cig relapse or not. Here’s where I’d love to ask what you were thinking, but I still smoke socially even though I officially quit over 12 years ago, so I will keep my mouth shut and cheer you on from the sidelines. Good luck! It’s funny you say that because I have asked myself that the last few months “what was I thinking?” After I quit smoking, I always wished I could be a true social smoker, but I never tried that. Instead, i picked up a snus habit, which does have the advantage of allowing me to stay at my desk and not have to go out into the cold or heat. I tried dip back in high school – it was disgusting. My friend nearly puked at the concert we were at – I think it was Jerry Harrison (from the Talking Heads) or something. I really have enjoyed it, but at the same time, it’s become a crutch that takes most of the fun away. I’ve never done dip and never will… too much. 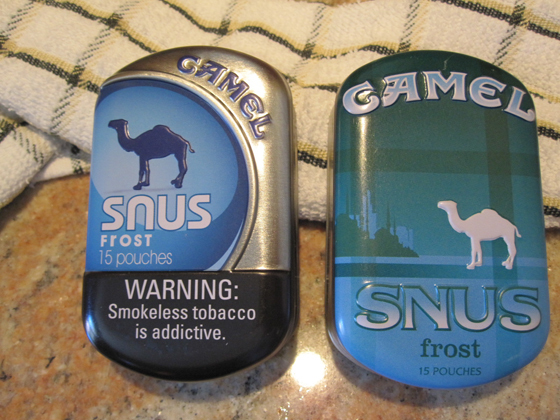 I may have bought my last two tins of Snus today. Thank you. I think I should be done. It’s been four months since I quit smoking. Good luck on the quitting! 4 months… That’s awesome. Great to hear. And thanks for the luck. I may need it. I remember how tough it was to quit smoking and wish you all the best. Quitting is so hard, but I know you can do it. Yeah, when I quit smoking, it was my 12th or 15th try. The last time stuck. Hoping to get this one on the first try.